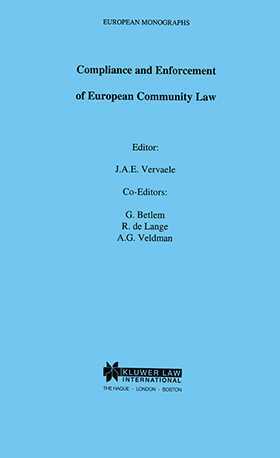 This collection of papers reflects the growing interest among European Union law scholars and practitioners in the impact of Community law on the main fields of the Member States' legal orders: constitutional law, administrative law, criminal law and private law. In particular the requirements of an effective compliance with, and enforcement of, Community law have contributed to a Europeanization of those areas of national law. This book brings together case studies from such diverse policy areas as customs law, foodstuffs and waste transport, as well as more general analyses from both a comparative legal and a political science point of view.